Dennis K. Burke, Inc. has the solution to your distillate and gasoline needs. Our staff of hazmat trained, professional drivers and fleet of clean, metered trucks has the capability of delivering on time, every time, in a safe and customer focused fashion. 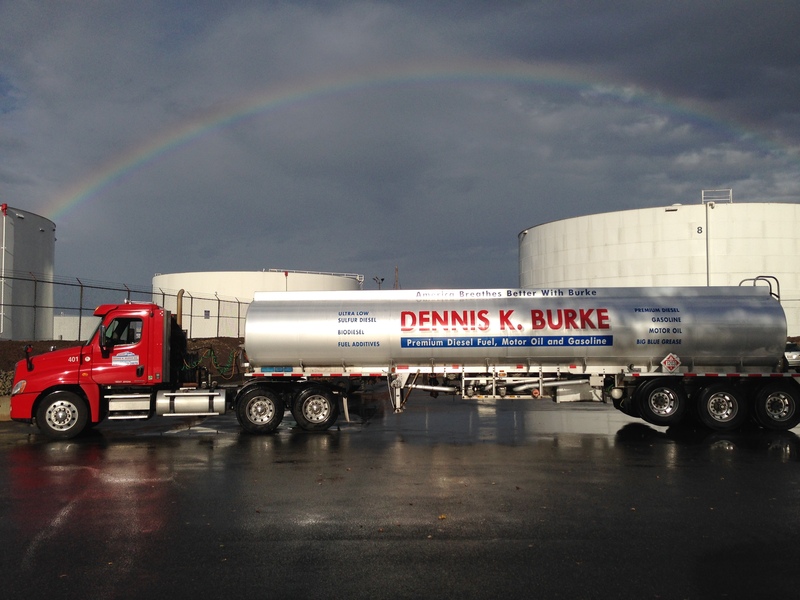 Dennis K. Burke, Inc. delivers gasoline, distillates, and Biofuels to customers from eastern New York to northern Maine. Our network of terminal locations, competitive pricing, and market update options allow your company to manage cost, inventory, and product usage while concurrently ensuring timely, safe, delivery at a competitive price. Dennis K. Burke, Inc. has terminal locations from Maine to Maryland; so no matter where your company is located in the Northeastern area, Burke has the capability to meet and exceed your product needs.